Now is the time of year when nearly every website and blog on the world wide web is offering income tax advice. With the April 15th filing date approaching fast, itâ€™s easy enough to see why. Everyone is looking for tax advice right now, and the preference is always to get it for free. The web will do that for you. But as a semi-retired tax preparer from a CPA firm, Iâ€™m here to tell you to tread lightly in getting and fully accepting tax advice online. Itâ€™s not that the information given is faulty â€“ quite the opposite â€“ itâ€™s usually pretty solid. The real problem is that it may not apply to your own particular tax situation. Itâ€™s important to understand that the tax information being given out on the web is generic in scope. It represents the typical requirements that apply to the largest number of taxpayers. That doesnâ€™t mean that the advice applies specifically to your situation. A change in a single variable could invalidate the advice as it applies to you. 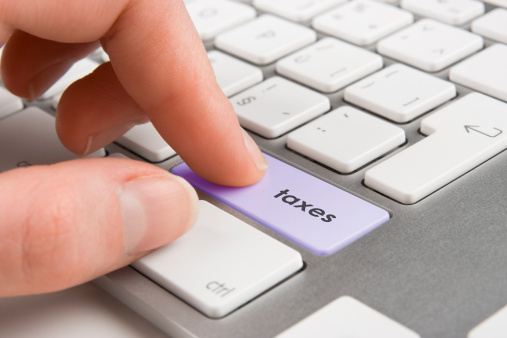 If your tax situation is simple, online tax advice could work for you. But the more complex your tax profile is, the less likely it is that you can rely on general advice. In fact, doing so could increase the risk of making a major mistake and inviting closer attention from the IRS. Apart from the fact that your own tax situation might not accommodate general tax advice, the federal tax code is so riddled with loopholes and exceptions that it might even be impossible to rely on standard information. Not only is there an exception â€“ usually a great deal of them â€“ in connection with nearly every provision of the tax law, but most of them require some sort of research just to be in full compliance. The tax code contains many thousands of pages of regulations that go worlds beyond basic advice. It is even possible that trying to exploit a particular loophole in the federal tax code could be offset by an entirely different set of provisions in your state income tax code (a decrease in federal taxes could cause state income tax liability to increase). Unless you are aware of the big picture of tax preparation, you may not be able to take tax advice at face value. Making a single significant mistake on your income taxes can create a large tax liability, not to mention penalties and interest. If you have any doubt about a particular tax issue, you should consult a CPA or even a tax attorney. Some situations are simple, but others are incredibly complex. No matter how simple the financial media might attempt to portray it, income tax preparation is not the best place for the do-it-yourself crowd. This is especially true if you are high income ($200,000 plus), self-employed, or own either rental property or various investment partnerships or S corporations. Online sources can be a good starting point for tax questions. You can use them to provide sources from which you can follow up for more information. Many blogs provide excellent information on very specific tax issues. Just make sure that you also understand that changes in how you report an income source or deduction could have an impact on your overall tax situation in ways you may not fully understand. If you ever hit on a tax question where either the answer is unclear, or it starts to look downright mysterious, itâ€™s time to turn it over to the professionals. Tax preparation is not for amateurs! The IRS will not let you off the hook because you tried and failed. They will assess you the same charges as if your improper income and expense classifications were intentional. Website and blog tax discussions â€“ in addition to the growing number of income tax preparation software packages â€“ are making tax preparation seem simpler than it is. Take the advice as general tips, and not as something specific to your own income taxes. And never do anything on your tax return that makes you the least bit uncomfortable. Have you ever relied on web-based tax advice and later found that it didnâ€™t apply in your situation? Leave a comment! I couldn’t agree more! This is really smart advice, and definitely something all of us should keep in mind this time of year. Sometimes we tend to think that because it’s on the internet, that makes it 100% correct, but many times that’s not the case. When it comes to taxes, it’s especially important to seek out advice for your specific situation! Hi Carrie–What people often don’t get is that the change of a single variable could also change the advice. Taxes aren’t as simple as we often want to believe. Worse, they’re being changed and modified all the time. What applied last year might not this year. Hi Josh–You’re absolutely correct, the article writers are not responsible for your return, especially considering that they neither singned nor reviewed it!